PATH is an international non-profit global health organization with the mission to drive transformative innovation to save lives. SkB designed their 100,000 sf headquarters in South Lake Union and a field office in Washington DC. There was a massive transition for PATH as they moved from mostly closed offices to an all open workstation environment. SkB worked closely with them to design a tailored workstation system that balanced privacy, flexibility, and collaboration. 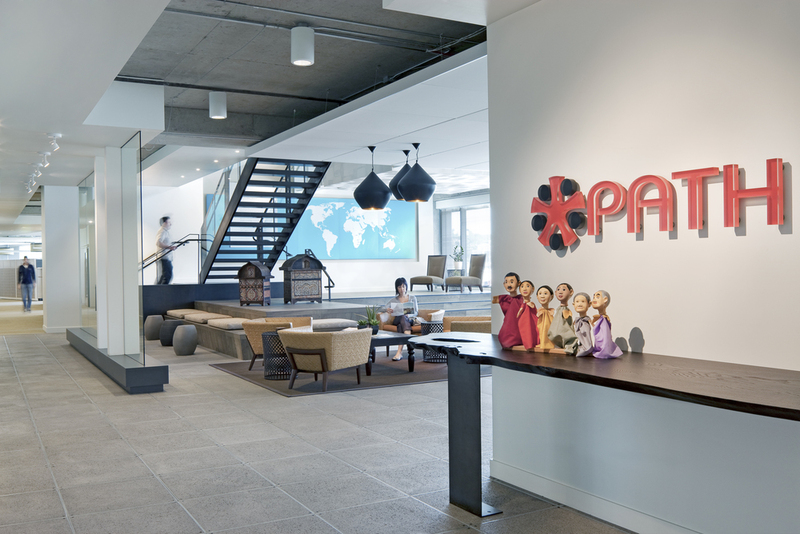 Much of PATH’s work is in developing countries so it was important to find the right aesthetic that represented their northwest heritage, their international presence, and the fact they are a non-profit organization.